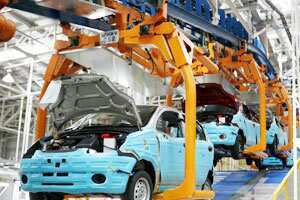 New Delhi: Hit by the depreciating rupee, auto companies, including General Motors India and Toyota Kirloskar Motor, are mulling hike in prices to offset the rising cost of component imports. He said commodity prices have also been increasing, adding to the burden on auto firms. “We are currently evaluating the quantum of impact on the prices of our products," Balendran said. Expressing similar views, Toyota Kirloskar Motor deputy managing director (Marketing) Sandeep Singh said the present currency fluctuation is affecting the company severely. “It is a double whammy for us. On one hand, yen is appreciating, while on the other hand rupee is depreciating. Our margins are getting impacted," he added. Asked if the company will increase the prices, Singh said: “As of now we are absorbing, but if there is too much pressure, then we will share the burden with customers. “Currently, we are revisiting the prices of all our models. Any new price increase, if we take, will be applicable from 1 January." The rupee plunged to an all-time low this morning to Rs52.50 against the US dollar on the Interbank Foreign Exchange on sustained demand for the American currency. It is putting severe pressure on companies which import substantial amount of components from overseas. “The rupee depreciation is adversely impacting us as we are a net importer. This is the worst movement of rupee against US dollar. It has lost 15% in the last two months," Maruti Suzuki India (MSI) chief financial officer Ajay Seth said. MSI has both direct and indirect exposure to foreign currencies while importing components, and it imports about Rs8,000 crore worth of parts annually, he added. “At the same time, we also export cars and that is benefiting at present. However, considering both, we are impacted as a net importer. The situation is affecting our margins," Seth said. He, however, said the company does not have any plans at present to increase the prices of its products. The hit due to the weakening of rupee comes at a time when auto makers have been enduring one of the toughest periods with car sales in the country on a continuous decline. In October, car sales in India registered their steepest monthly decline in nearly 11 years, tanking 23.77% on account of a huge drop in output by the country’s largest car-maker MSI due to labour trouble, coupled with high interest rates and rising fuel prices. Another auto maker Honda Siel Cars India (HSCI) said it is not impacted so far as it is protected under long term contracts with its foreign vendors. “So far, we have not faced any impact due to depreciation of rupee as we have forward contracts for importing components, and the ongoing volatility is very recent. If it remains like this, then there will be some impact on us in the long run," HSCI senior vice president (Sales and Marketing) Jnaneswar Sen said. He declined, however, to share for how long HSCI’s imports are protected under forward contracts. Volkswagen Group Sales India, member of board and director, Neeraj Garg said: “There is pressure on us because of the currency fluctuation. The quantum of impact has to be worked out as we have many import contents in our models, except Polo and Vento." Garg, however, said: “It is very difficult to pass on the burden to customers as the market has already slowed down. We need to do a fine balancing act". Commenting on the current situation, Society of India Automobile Manufacturers director general Vishnu Mathur said: “It is a complex situation. Those who are importing are paying higher cost, while those who are exporting are getting higher revenue". The companies who are not exporting products will have a higher impact due to import of CBUs, engines and other critical components, he added. When asked if the companies may hike the prices to mitigate the impact of Rupee depreciation, Mathur said: “I really doubt if in today’s market scenario, anyone will pass on the increase to the customers". The country’s second largest car maker Hyundai Motor India Ltd (HMIL) said its imports are getting affected, but due to high level of exports, the company is less impacted currently. “Our imports are getting costlier, but we are able to absorb the rising cost as we are a big exporter from India. So we have some cushion to the current adverse situation," a spokesperson of HMIL said.